In today’s interconnected world with its abundance of information, choice, and marketing, how customers buy has drastically changed. Never has there been more of a disconnect between how companies go to market and how those markets actually buy. Whether you’re an executive, an entrepreneur, a marketer, or a salesperson, it’s time to look beyond how you sell and focus on how your customers buy. 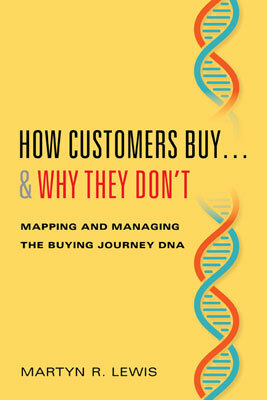 Enter the definitive guidebook for successful revenue generation, How Customers Buy…& Why They Don’t: Mapping and Managing the Buying Journey DNA (Radius Books, August 15, 2018), by Martyn R. Lewis. In the mid ‘90s, after more than two decades in corporate sales and marketing from front-line sales rep to CEO of a large multinational, Martyn R. Lewis launched his own company, Market-Partners Inc. He and his team not only interacted with their clients, but also reached out to their clients’ customers and made some illuminating and startling discoveries. Because even when the sales efforts were strong and the products were great, all too often customers didn’t buy. Something was wrong, something was missing. From that point on came more than 15 years of research that has led to the author’s compelling argument that businesses must look beyond their own internal view of how something is sold, to the external reality of how customers actually buy. Part one of How Customers Buy introduces the author’s foundational concept of Outside-in Revenue Generation. He decodes the six elements of the Customer Buying Journey DNA, defines the nine Buying Concerns, and unveils the elegant 4Q Buying Style Quadrant that unlocks the intricacies of how buyers actually think. Part two then takes all that has been discussed and answers the question “What to Do About It?”. This section rests on the major premise of “Changing the course of events,” wherein the author reveals that there are only four things that can be done to positively impact the market. He then turns to their practical application with the development of the Market Engagement Strategy and the five essential elements contained within. Part three translates that strategy into actual sales and marketing actions. He introduces the CBJ Navigator, the powerful tool for bringing all aspects of Outside-In Revenue Generation to the enterprise. Also included in the book are many real-life examples and two highly-detailed case studies and analyses. From startups to Fortune 500 companies, How Customers Buy is a wake-up call to all those whose livelihood depends on successful revenue generation. Stop solving the wrong problem: Research shows that most customers do “get it”, they understand the value and ROI of offerings. Parts of the proceeds from How Customers Buy will be donated to victims of the Sonoma County 2017 Wildfires. Learn more and get your copy of the book at buyingjourneydna.com. Why don’t great products make it past the Value Analysis Committee? What you can do to change it? Market-Partners work in the healthcare has highlighted the growing importance of understanding the Value Analysis Committee (VAC) and the role it plays in the Customer Buying Journey. In many cases, although physicians and hospitals may develop a strong interest in a particular product or therapy, the path from interest to usage and adoption is not always an easy one. This recently published paper explores the history and current trends behind the VAC and offers the effective Do’s and Don’ts when faced with having to sell to, through or past the VAC. For more information and to start a discussion, contact us today. One of our practice areas is the healthcare industry and we have worked with many companies in the medical device field. I was recently reading a business plan for such a company that’s in the early stages of looking to attract investors. The section of the plan on sales and marketing stated “The product is of such a nature that traditional sales and marketing will not be required. Once the CEO of a hospital understands our product, they will direct the organization to acquire it”. Get in front of the executive. Although I understand the logic that leads to this thinking, I can unequivocally state that the logic is dangerously flawed. I know it is flawed because we have talked to hundreds of buyers who did not buy when confronted with such a sales approach. So why do so many buyers not take advantage of a seemingly guaranteed ROI on an offering of undeniable quality? It’s only by going behind the scenes and looking into the customers’ buying journey that the buying logic – as opposed to the selling logic – is revealed. Taking the example of this company, let’s look at just a few of the points that can stop such a sales approach from being successful.  Firstly, in today’s world it would be extraordinary for a single executive to act alone in making a decision. The executive is supported by many individuals and teams that have been empowered to make such decisions.  How then do you manage that network of decision influencers, and do you know everyone who is involved? In the example above we would have at least the Chief Nursing Officer, the Infection Control Committee, Material Management and several others who will all play a role.  How do you displace their current priorities? If the reduction of hospital acquired infections is on their agenda – and yes, it probably is – they won’t be idly waiting for you to come along. They will most likely have dedicated considerable time and effort to addressing the issue and will have some sort of plan already in place.  How do you become a priority? They are busy people and they have already planned what they are going to invest in and where they are going to spend their time. How do you jump over all the other initiatives (and sales reps) and become a high enough priority to even get air time?  It may be hard to believe but you are also one of hundreds of offerings that are all aimed at the same problem and they are all viewed, at least by their supplier, as best in class. The list of external factors goes on and on, all paying scant regard to any “no-brainer” sales approach. That’s the bad news. The good news is that the customer buying journey can be predicted. Most hospitals, and indeed most companies within any specific market will go through very similar buying journeys when faced with the possible acquisition of a new offering. 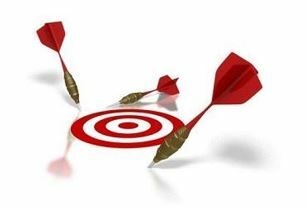 It is imperative that the selling organization be fully aware of that journey and cognizant of the inevitable friction points that need to be mitigated or resolved between stages 3 and 4 of the sales approach given above. Successful revenue generation must start with looking beyond the internal sales process to the external reality of how customers actually buy. There must be a comprehensive understanding of the customer buying journey and mapping out of all individuals, forces and roadblocks that are likely to be met along the way. A strategy then has to be developed for making that buying journey as frictionless as possible by managing and supporting each step of your customer’s journey to a successful conclusion. Yes, it is more work than that simplistic four-step approach, but there’s a big difference – it will be successful. I was participating in a board meeting for a young software company and the CEO was asked by an investor how long their sales cycle was. The CEO started to respond, corrected himself several times and finally shared that once he got in front of the right person he could get their eyes to light up in less than 20 minutes. Another of the board members humorously asked if he had enough operations staff to handle all the orders that he would generate. I always recall that situation as it so representative of many enthusiastic folk I have worked with – they mistake interest in their offering as a commitment to buy. Needless to say it is a very costly mistake and more often than not a harbinger of missed forecasts and disappointing revenue growth. Our research over the last few years has thrown significant light upon what happens in the buyer’s world after they – in the words of the story above – have had their eyes lit up by some new offering. Perhaps the most revealing observation is that in many cases the prospective buyer not only understands the new offering but also believes in the value it will bring their organization – and yet does not buy. Indeed, with a good ROI, a case could be made that they’ve been offered $20 bills for $12 each and still decide to pass. 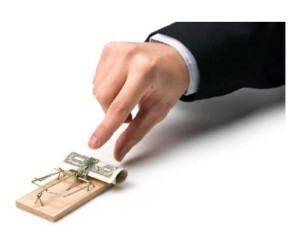 Ironically in these situations, the sales person usually continues to hammer away on the offering and the value it will deliver and when no purchase is forthcoming, the selling company either blames the messaging or questions the sales person’s ability (or inability) to deliver it. And remember, these are situations where the buyer is seriously interested in the offering. Our research then looked deeper into what happens in the buyer’s journey between these two points of interest and acquisition and the short answer to what we found is, a lot. This is where all the internal effort of the buying process is concentrated. 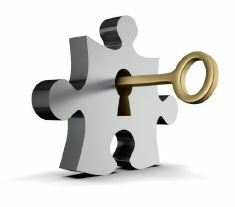 The prospective buyer has many hurdles and bridges to cross before getting an organizational commitment to move forward with an acquisition. Firstly, there are many more people involved in any buying decision than in the past. All of these different individuals can influence the buying journey in any number of ways due to their own motivations and agendas. Then there is the simple question of why and how an organization would divert time and resources from whatever they are doing to this new initiative. There then follow numerous questions and anxieties about the implications and changes that may be required if they invest in the offering. And as one CFO once shared with me, there is no shortage of great ideas coming at them of how they can gain greater business success. Our research showed that even those sales proposals in which an organization is sincerely interested, the majority lose momentum in the buying journey due to one or more of nine specific buying concerns. These are the friction points that we have identified and documented that slow down and/or stop the buying journey, and in turn lead to those missed sales forecasts and lack of revenue growth. The key here is that these issues are all internal to the buyer and have little to do with the selling company. We recommend taking a very hard look at your prospect’s buying journey, especially that critical zone between interest and commitment. By understanding this part of the buying process, actions can be taken to deal with the inevitable roadblocks and so smooth the way of your customer’s journey to acquisition. Sales must be looked at from the outside-in, because in today’s world it’s not what they buy, it’s how they buy.